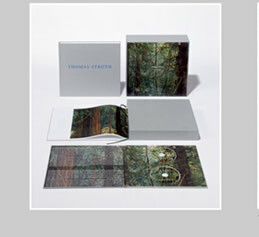 The catalogue accompanies the 2002 retrospective traveling across the US. 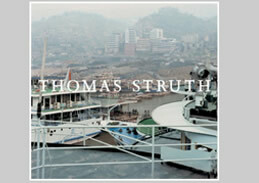 Collector's Edition of Thomas Struth monograph with a signed and numbered original print plus two music CDs with live recordings of Frank Bungarten and Evan Parker. Frank Bungarten at the MCA - Museum of Contemporary Art , Chicago. Evan Parker at The Metropolitan Museum of Art , New York. 31,5 x 32,5 x 10 cm.